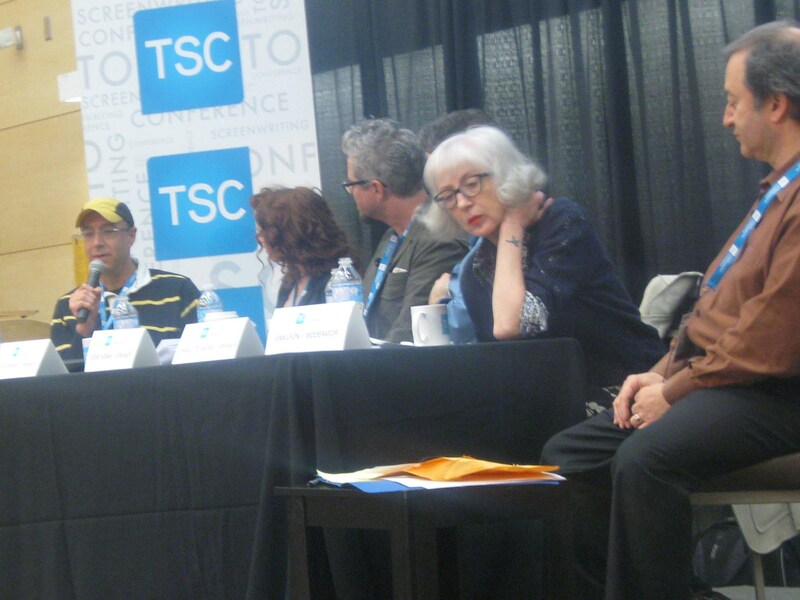 The 4th annual Toronto Screenwriting Conference got underway yesterday at Ryerson and was a fantastic experience for Sue and myself. Featuring a who’s who of film and television writing, the weekend covers almost every conceivable angle of the screenwriting process, from series pitch,to punching up dialogue to sharing in the process. At the center of all of it seems to be Homers The Odyssey, whether as a reflection of the writing process and the writer itself or as a template for storytelling, The Odyssey figured largely in a few of the talks today. 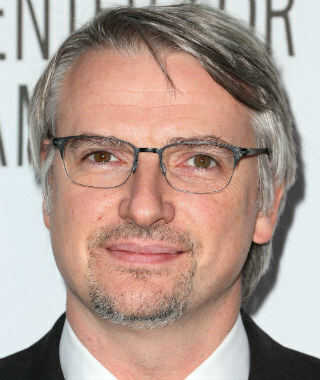 Walking Dead showrunner Glen Mazzara kicked off the conference, setting the bar very high for the rest of the weekend. With his Queens’ accent he effuses an engaging charm, self-deprecating, honest, and hardworking. He uses The Odyssey as an illustration of the writing process. Advising writers to communicate and support one another, to eschew the snarkiness and ownership of the art, to let go of ego and service the story. Critique and criticism is good, but not to the point of nastiness. A fair point. He was also unafraid to share some of the tweets he’d received with his finale of The Walking Dead – some people loved it. Some said things like, “I don’t know what’s worse you’re writing or my cancer!” Wow. When Odysseus string his bow, and it makes a swallow’s tone, it’s the character coming home, it’s also the writers coming home. It was a brilliant presentation, and was incredibly inspiring. At this point, Sue and I went our separate ways, attending different sessions, Sue sat in on Kathleen McCaffrey’s talk about being the Director for Original Series at HBO, as well as listening to pitches and how she makes her contacts and keeps a log of all the pitches she hears, and all the people she meets. I sat in on Dara Marks talk about Engaging the Feminine Heroic, and made tons of notes for my own writing. It was actually like being in class again, there were handouts, tons of note taking, and the subject was downright philosophical. Dara Marks is a hugely successful script consultant, and after this talk it’s very easy to see why. She has a doctorate in mythological studies and gave us the benefit of her knowledge. Sue sat in on a Breakdown of One-Hour Drama with David Hudgins, showrunner, producer and writer for such series as Friday Night Lights, Everwood and Parenthood). Much like I had been, she was taking an insane amount of notes. Hudgins detailed the necessity of A and B stories, but also the concept of using the entire cast of characters and that none of them are ‘the bad guy’ they are all just people trying to live their lives as best as they are able for their interests. 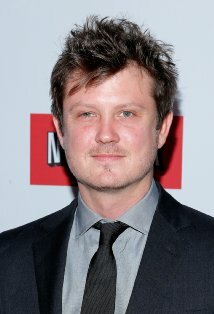 Then for the final session of the day, Beau Willimon was interviewed about being a playwright, having scripted Farragut North and then the subsequent film based on it, Ides of March. Then he spoke at length about his adapting of a cult BBC series for Netflix, the spectacular show House of Cards with Kevin Spacey. He spoke about the fact that Netflix gave them the go ahead on two seasons up front, gave them complete creative control, and promised they wouldn’t give notes on the episodes (these things NEVER happen). Today we learned that people should write for the love of writing, not to make money, not to win or awards or get recognition, but write, write for the love of creation, be supportive of other writers, offer advice and support, be the art. Sue and I made tons of notes which I have no doubt we will apply to our own writing, there are some ideas wandering around our brains. We’ve met some new people, saw some familiar faces, and learned so much about the craft. I can’t wait to see what today brings! Really interesting event btw, happy you had great time !